09.22.07 Peter Leko posted his first full point of this tournament with a win over Alexander Grischuk to move up to forth place in the standings. 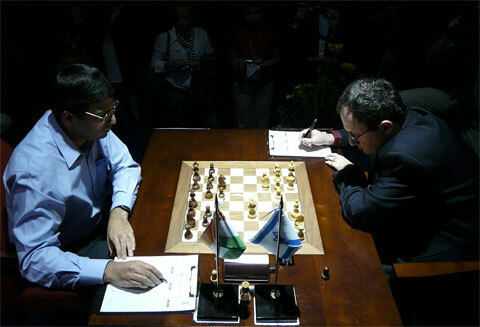 The current leaders, Anand and Gelfand, played to a draw which allowed Anand to maintain his half-point lead. Games and images from round eight and the second half schedule. The venue of the World Chess Championship: the Sheraton Centro Histˆ„rico Hotel in Mexico City, Mexico. 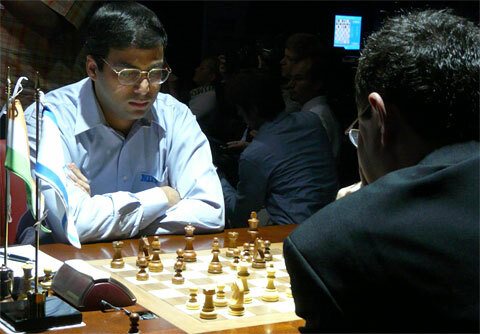 The clash of leaders: Anand--Gelfand. With a draw in this game Anand holds on to the slightest leading margin. 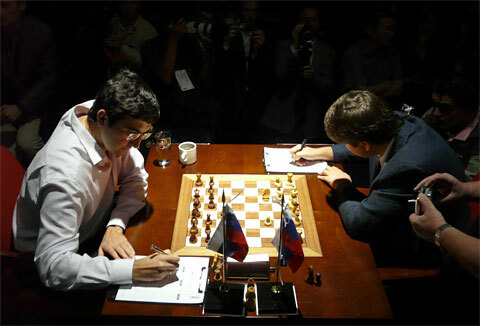 Countrymen, friends, teammates and now opponents, Kramnik and Svidler drew their eighth round game. 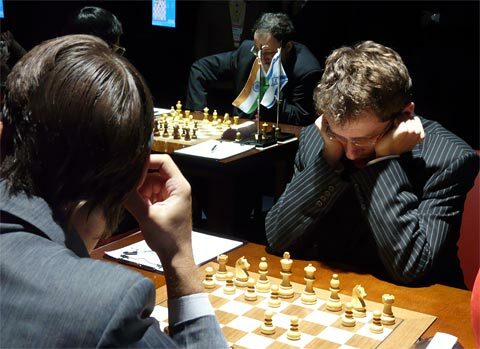 Aronian vs. Morozevich with Gelfand vs. Anand in the background. 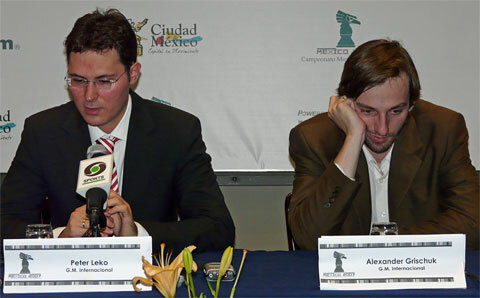 Leko speaks to the press about his eighth round win over the dejected Alexander Grischuk.